Payday Loans Near Me. From LoanNow – Helping Good People Get Better Loans. If you need money but you have bad credit, it’s understandable that you may feel desperate. Unsecured bank loans are out of the question, and you don’t have collateral for a secured loan. You may tell yourself “I need to find payday loans near me” because that’s the only option you think you have. But in many cases, LoanNow can provide the cash you need – when you need it – without the drawbacks of payday loans. Unless you live in a very small town, one answer to the question “where can I find payday loans near me?” may be a payday loan store. Depending on where you live they may be called check cashing stores or even currency exchanges – but the procedure is the same. You submit your application and supply one or more post-dated checks. If you’re approved – and if you have a job, you’re almost guaranteed to be approved – you can walk out the door with cash. But if you don’t have the funds in your bank account to cover those post-dated checks, you’re hit with NSF fees from your bank, and late fees from the payday lender. If that happens too many times, you may lose your account. Sometimes the answer to the question “where can I find payday loans near me?” is nowhere. If you live in a state that has outlawed payday loan stores or you don’t have a car, you may not have any way of getting to a payday loan store. Or you may just be embarrassed by the prospect of running into someone you know. Either way, online payday lenders often seem appealing – and why not? Their websites often feature big headlines promising “No credit check!” or “100 percent accepted!” But what those headlines conceal is that these websites don’t provide loans at all. Instead, they serve as intermediaries that distribute borrowers’ information to third parties. In some cases, your personal data may simply be sold to the highest bidder. Can you say identity theft? 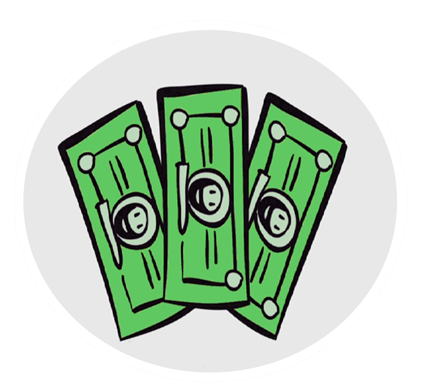 If you’re “lucky”, the answer to the question “where can I find payday loans near me” is an online direct payday lender. With online direct payday lenders, you can apply from home and receive your money via direct deposit into your bank account on the next business day. That’s the good part, and for many borrowers, it’s an apparent lifeline. But payday loans are really little more than traps. They combine a trio of factors: high interest rates, required lump sum repayment and short repayment periods to create an impossible scenario for many borrowers who cannot repay their loans on their original repayment dates. Payday lenders respond by accepting partial payments from borrowers and rolling over the remaining balance into a new loan, triggering a cycle of partial payments and rollovers that can persist for month before the loan is finally paid. With LoanNow, there’s no need to ask “where are payday loans near me?” LoanNow features the convenience of online only** applications and provides responses within minutes†. But LoanNow is way better than a payday loan. Our loans feature manageable monthly installments, not lump sum repayments. And we say NO to rollovers. If your credit isn’t perfect, you may still be approved. With LoanNow, you’re more than a FICO score, and we approve many borrowers banks turn down. LoanNow provides good people with the loans they need now and empowers them to improve their overall financial futures. Check out the LoanNow advantage for yourself!